Do you have a document issued in the state of Missouri? Do you have to present this document in a foreign country? "I own a small business and had to legalize Certificates of Free Sale required in a foreign country. I had no idea where to start with this process and contacted Global Apostille for help." 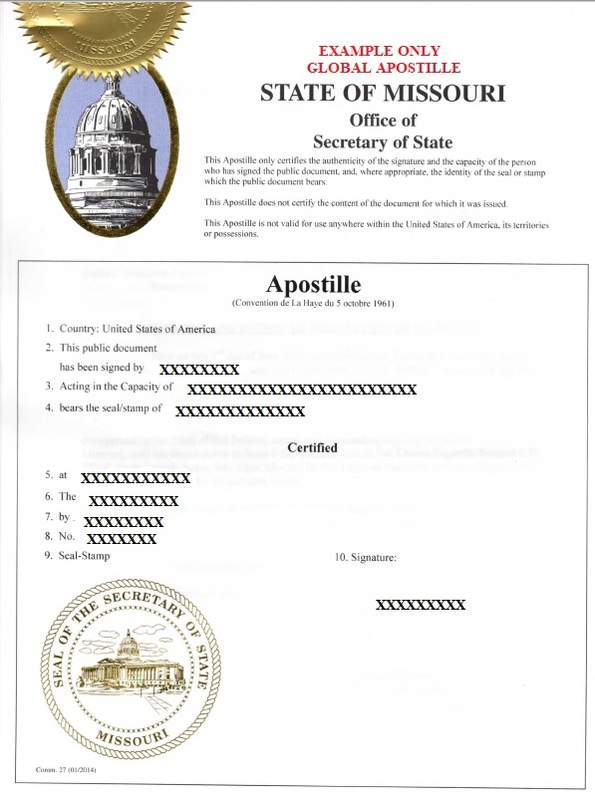 "Global Apostille helped me obtain apostilles for my personal documents that I had to take with me to my home country. They did a quick and efficient job and saved me a lot of time!"